Many schemes are initially built with open balconies but over the years certain owners decide they’d prefer their balcony to be enclosed. I live in an apartment with an enclosed balcony (I rent so I didn’t have anything to do with the enclosure process) and it is a defining feature of the flat – when the weather is bad we enjoy the extra lounge space, but when it’s good we open those stack-able windows right up and it feels like we are on an open balcony. Best of both! 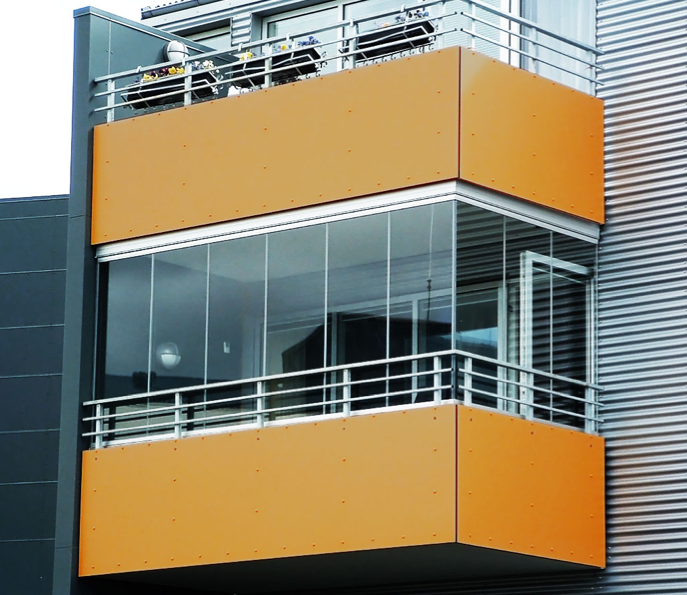 But what is the process that must be followed in order to properly authorize a balcony enclosure in a sectional title scheme? Like most answers to questions about sectional property… It DEPENDS! It depends on what type of property the balcony is. Ie. what is its legal nature? 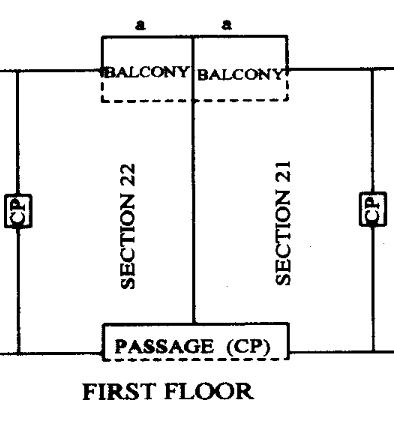 If the balcony is defined by a solid line on the sectional plan, usually with a dotted line showing the divide between the enclosed section and the open balcony area, then the balcony legally forms part of the owner’s section. In this case, enclosing the balcony is not an extension of the boundaries or floor area of the owner’s section and therefore the provisions of section 24 of the Sectional Titles Act (which deals with extensions of sections) are not applicable. An owner who wants to enclose a balcony that forms part of his section will need to submit building plans to the trustees for signature before submitting these plans to the Local Authority for approval. The trustees must consider the “Harmonious Appearance Rule” [ie. the provisions of PMR 68(1)(iv)] before deciding whether to sign the owner’s building plans or not. This rule states that an owner must not do anything to his section that is likely to prejudice the harmonious appearance of the building. If the trustees are of the opinion that the enclosure will not prejudice the harmonious appearance of the building then they can sign the plans and if the plans are subsequently approved by the LA then the owner is good to go. A special resolution of the BC is required. The owner of the section must get a land surveyor or architect to draft and submit a sectional plan of extension to the Surveyor-General for approval. The participation quota schedule must be adjusted to take account of the increased floor area of the section. If the floor area of the section being extended is increased by more than 10% then all mortgagees of sections in the scheme must consent. If no objections are received within 30 days of posting notice to the mortgagees by registered post the mortgagees are deemed to have consented. Once these requirements are met the Registrar of Deeds registers a sectional plan of extension which is held in the scheme’s file at the Deeds Registry. The Harmonious Appearance Rule must also be taken into account, therefore the body corporate should consider the harmonious appearance of the building when voting on the special resolution required in terms of section 24. Enclosing a balcony can affect what is known as the Floor Area Ratio or bulk of the property as a whole. This is a zoning requirement that determines what percentage of the erf may be covered with habitable building space. If there is no bulk left on the property the Local Authority will not approve building plans to enclose a balcony. This entry was posted on September 30, 2013 by Paddocks in Legal, Lounge and tagged approval for enclosing balcony, Balcony enclosure in sectional title, enclosing a balcony in sectional title, sectional title act, sectional title balcony enclosure.